Gum disease is a problem in and of itself. Between the potential to lose your teeth, decreased resistance to disease due to the fact that your immune system is already stressed, and increased likelihood of cardiovascular complications, it can cause serious issues. But did you know that gum disease can also increase your chances of developing cancer? Here's more information. A lengthy study involving more than 48,000 men shows a definite link between gum disease and cancer. 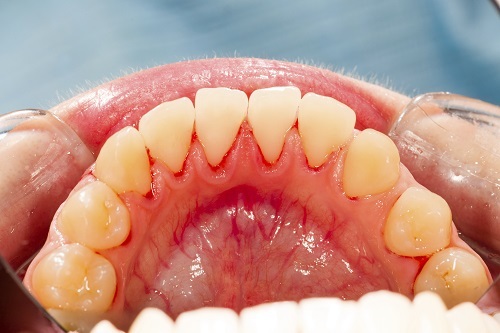 While the link between the two is not completely clear-that is, researchers were not able to pinpoint why it is that gum disease leads to an increased risk of cancer-the correlation between the two is unmistakable. What's more, your risk for certain kinds of cancer skyrockets if you have gum disease: subjects of the study showed a 54% increase in the chance of developing pancreatic cancer if they also suffered from gum disease, a 49% greater chance of developing kidney cancer, and a 36% greater chance of developing lung cancer. Several other types of cancer were in the range of 30% more likely to strike those with gum disease. As this study makes clear, there is a definite link between gum disease and a significantly greater chance of developing cancer. Thus, to protect your health tomorrow, it is imperative that you aggressively pursue good oral hygiene today. Brushing at least twice a day, flossing once a day, and going to the dentist for regular checkups are all crucial to your health. By keeping your smile clean and healthy in the present, you can work to ensure that the rest of your body remains healthy down the road.